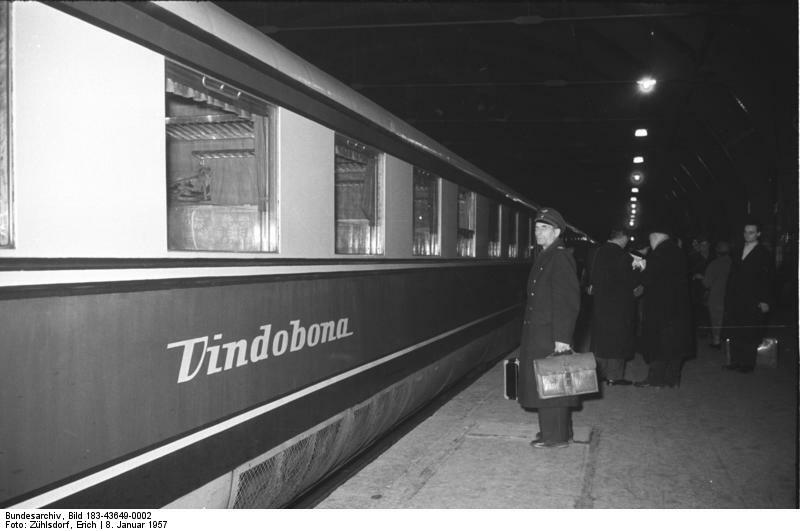 Vindobona – Vienna or Vrindavan? Vrinda -Daughter of King Kedar? It is translated and updated version of Original article publuished in local news paper Divya Bhaskar On 13/05/2011. History Says that migrating Germanic tribes reached Danube Bank (Germany) in 500 B.C. In 450 B.c. Vindobona colony emerged at bank of Danube. Todays Vienna stands on the ruins of VIndobona. There after Germanic “Helvetii tribe” founded Avanticum (first century A.D.) in present Swidzerland. All these facts donot create curuiosity about Germanic tribes? 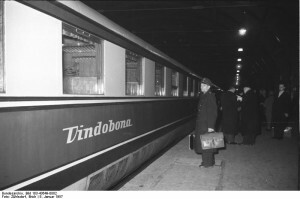 Most surprisingly even today there is regular train service named “VIndobona Express” for Viena – Prar and Berlin train route.Germanic tribes don’t want to forget Ancient VIndobona town established on bank of Danube before 2000 years.Even liquire was prohibited in VIndobona upto 3rd century. Present day Vienna is the capital of the Republic of Austria and one of the nine states of Austria. Vienna is Austria’s primary city, and is by far the largest city in Austria, as well as its cultural ,economic and political centre. Germanic “Helvetii tribe” Which founed Avanticum in present day Switzerland, established “Mantua “ town in North Etaly. 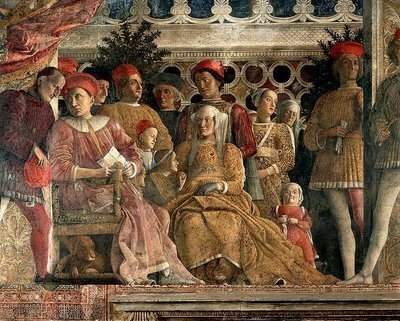 Mantua was famous for Art,cultural activities as well as its Music. P.N Oak (Hindu Brahmin who fought second world war) ,Who started institute for rewriting history in Indora also mentinions in his literature that Vienna stands for Vrindavan. We did not believe him. I think late P.N.oak was right in his opnion? Vindobona grew up on the bank of the Donau (Danube) and eventually evolved into modern-day Vienna. The location was ideal for a Celtic settlement, having an abundance of field, forest, and water. There was also a convenient hill near the southeastern corner of the plain, where the Taurisci (later called the Norici) built their fort around 450 BC. The plain was surrounded by a dense forest which today is called The Vienna Woods. The area was rich in wild game and fish from the river, and the land provided good harvests. The settlement flourished and grew into a major trading center. In 14 BC, the area was conquered by the Romans. It is they who gave it the name of Vindobona. They built a large fort on the site of the settlement. To them, this was a frontier fort, designed to protect their territory against incursions from the barbarian tribes to the north. Vindobona was part of the Roman province Pannonia, of which the regional administrative centre was Carnuntum. The local inhabitants were probably of celtic and Illyrian origin. The term Vindobona ,Carnuntum , Pannonia and and Illyrians are not suggestive? Pannonia was an ancient province of the Roman Empire bounded north and east by the Danube, coterminous westward with Noricam and upper Italy, and southward with Dalmatia and upper Moesia. Its original inhabitants were the Pannonii (Pannonians), a group of tribes akin to Illyrianns. From the 4th century BC it was invaded by various Celtic tribes. Little is heard of Pannonia until 35 BC, when its inhabitants, allies of the Dalmatians. Latter on in 9 BC, it was incorporated into Illyricum, the frontier of which was thus extended as far as the Danube. Vindobona was in province of Pannonia, Illyrians origin people were dwelling there. We have to remember that only after Mahabharat terminology such as Pandava and kaurava emerged.Before that they were called Chandravanshi or Ella-vanshis. Senapati Budha (Budha ,son of Chandra was leading Army of Manu , Who founded Ayodhya ) married to daughter of Manu. So sons of Budha and Ella were called Ella-vanshi or chandravanshis. Here the term llyrians does not remind you of Ella , Daughter of Manu? History says that Carantania, also known as Carentania (Slovene: Karantanija, German:Karantanien, in old Slovene Onomastic Korotan) was a Slavic principality that emerged in the second half of the 7th century, in the territory of present-day southern Austria and north-eastern Slovenia. Having lasted more than 300 years, it is considered one of the first slavic states. It was the predecessor of the medieval Dutchy of Carinthia. Karantanien / Karnataka / Kuninda / Kedar /Katarmal? The words “Carnuntum” “Karantanien,”and “Taurisci” clearly suggests that they Illyrians dwelling there had connetion with Karnataka (India). 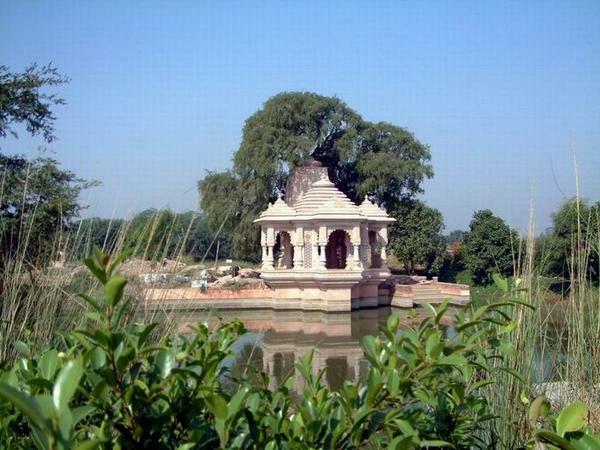 Gandaberunda Emblen and Vrindavan Palace name is clue to History. Karnataka has something to do wih Kuninda or Katyuri Kingdom of ancient Kedar Khand. Karantanin and it La tene Cauldron cuture clue Katarmal sun temple? 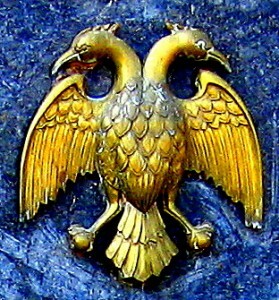 Gandaberunda emblem of mysore palace -clue to history? Vrindavan palace of Karnataka and Brindavan palace of Gajpati kings of Orissa are clue to ancient tradition of India. What I am telling here are based on historical facts. Look at coat of Arms of rulers of Karnataka. Gandaberunda Was coat of Arms of Karnataka rulers . In Mythological news categorrt I have discussed the topic in detail . Vienna still carry the same coat of Arms. Is it not clue to Indian ancient history? 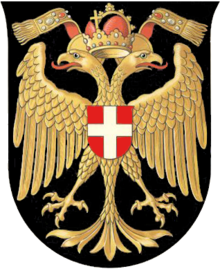 Vienna coat of Arms - similar to Gandaberunda ? Todays Hindu tradition is being saved and Shaped by Guru Gorakhnath and Adi Shankracharya. But we have to consider the fact that Germanic tribe’s migrated before Gorakhnath and Adi Shankryacharya movement. European history says that Hallastatt culture perevailed in Europe since !200 B.C. After reaching Danube bank Germanic tribes (In 500 B.C.) also followed Hallastatt culture. Hallstatt culture is characterised in 4 stages, according to James(2005: 21): A & B late Bronze Age, from c 1200 to 700 BC; C Early Iron Age, from c700-600 BC; D from c 600 to 475 BC. 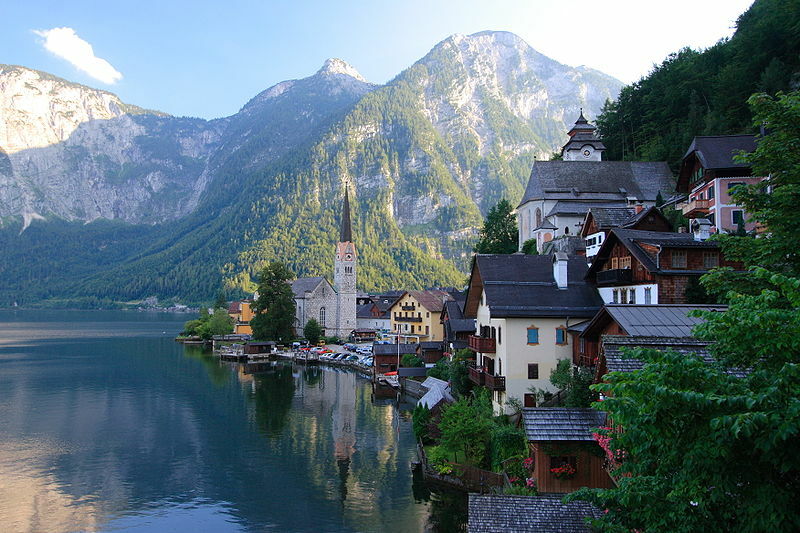 The Hallstatt culture spanned central Europe, with its centre in the area around Hallstatt in Central Austria. There were two distinct cultural zones – the eastern:including Croatia, Slovenia, Western Hungary, Austria, Moravia, and Slovakia; western: including Northern Italy, Switzerland, Eastern France, Southern Germany, and Bohemia. One should check roots of Halastatt culture.It is clue to history. What Hallastatt culture and Helvetii tribe stands for? Why this Helvetii tribe was founding Avanticum, Mantua and Geneva ? (Geneva have root in the word Dhenu, which remind us of Dhenkanal of Orissa. Dhenkanal is famous for its ancient Balaram temple.). I want to fingure out few posiibilities with available few facts. 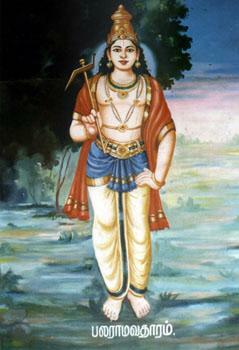 Balarama also known as Baladeva, Balabhadra and Halayudha, is the elder brother of Krishna. Within Vaishnavism Huindu traditions Balarama is worshipped as an Avatar of Vishnu.Heis known as being a manifestation of Shesha, the serpent on whom Vishnu rests. The Bhagavata Purana describes Krishna as the original Supreme Personality of Godhead from whom everything else emanates. As part of this divine ’emanation’, Krishna’s very first expansion is Balarama, and from Balarama all other incarnations of God then appear. Of the three transcendental elements described in Sanskrut as Sat ,Chit And Anand ( Eternity,knowledge and bliss), Balarama is in charge of eternity and knowledge. Hence he is worshipped as the supreme teacher or Adiguru. It implies that Balaram was in charge of “Sat” and “chit”. Balarama famously taught both Durtodhan of the Kauravas and Bhima of the Pandavas the art of fighting with a mace. When war broke between the Kauravas and the Pandavas, Balarama was equally affectionate to both parties and so decided to be neutral. In the Bhagvat Puran it is described that after Balarama took part in the battle that caused the destruction of the rest of the Yadu dynasty, and after he witnessed the disappearance of Krishna, he then sat down in a meditative state and departed from this world.] In some accounts it is described that a great white snake left Balarama’s mouth at this point in reference to his identity as Ananta-Sesha. And the place where he departed from this world is situated about 1 km far from Somnath Temple in Gujarat. There is one Cave at that place and the white snake who came out of Balarama’s mouth got into that cave and went back to Paatal Lok as the local people say. One of the early references of Balarama worship is found in Kautilya’s Arthshashtra. Early individual Balarama worship was followed by his worship along with Krishna by various Vaishnava sects.The most revered temple of Krishna & Balarama is in Jagannathpuri. Now let us look at Halastatt village in Austria. Halayudha – “Sat” and “chit”. Hallstatt is a village in the Salzkammetgut, a region in Austria. Hallstatt is historically known for its production of salt from the local salt mines. Salt was a valuable resource, so the region was historically very wealthy. It is possible to tour the world’s first known salt mine, located above downtown Hallstatt. The village also gave its name to the early Iron age Hallastatt culture. and is a World Heirtage site for Cultural Heritage. Hallstatt is a popular tourist attraction owing to its small-town appeal and can be toured on foot in ten minutes. Surprisingly coat of Arm of the Village is Plough itself. So Plough was in the centre of Halastatt culture. It is surprising that as Germanic tribes reached Danube bank Europe started tradition of La tene culture. La tene culture is military culture of Germanic tribes. La tene does not remind you of Dash Rajan culture of ancient India? La Tene or Dash Rajan culture? The La Tene era was the time of Celtic expansion and migration and the time of formation of the myths. The La Tene culture is named after the site in Switzerland where it was first discovered. The La Tene people were those known to the Romans as Gauls. Originally found in an area from Eastern France to Bohemia, the La Tene culture spread rapidly from about 400 BC. The La Tene Celts settled in Spain in 450 BC, in Northern Italy in 400 BC, invaded Rome in 390 BC, invaded Greece in 279 BC, invaded Galatia (in modern Turkey) in 270 BC. By 200 BC, they occupied the lands that are now Britain, the Netherlands, Brittany, Belgium, Germany and Switzerland. Nevertheless, it does appear that the La Tene culture was more militarily-focused than the Hallstatt one. The La Tene graves across Europe hold iron weapons – swords and spearheads – and wooden shields, as well as everyday items such as razors, yokes, cauldrons and jewellery. At the end of the research I conclue in following way. Migrated Germanic tribes who reached Denube Bank By 500 B.C. rememberd …Vrinda Devi…Dughter of King Kedar who ruled Kedar Khand in Satyuga.And named Vindobana there .Kedar/ Kuninda /Katyuri branch was in centre of their culture.Indian history says that Vrindavan in Gangatic plains named after Vrindadevi in Satyuga. Krishna happen to be in Dwapar..Long after that. Still Germanic tribes were worshipers of Hercules(Hari cul Ish). Hallastatt cultue says that they remembered Balram tradition. They named “Vindobana” (Vrindavan) ….that is present day Vienna. La tene or Lal Tilbba culture? This place is top point in Mussoorie. Lal Tibba is situated in Landhour area which is the oldest inhabited place in Mussoorie. Landhour still carries method of British era. It was here that Britishers first settled. The buildings, the structural design everything tells a saga of an English past. After India gained freedom many Britishers settled here. Even the name, Landhour was given by Britishers. In 1967, the municipal corporation of Mussoorie ordered a Japanese Telescope which is placed on Lal Tibba. Thorough this telescope one can have a beautiful sight of many peaks in Himalayan range like Badrinath, Kedarnath, Banderpunch etc. Lal Tibba is considered as most good-looking place in Mussoorie. Gahwal.MIgrated Germanic tribes named Gaul. Means they remembered Vrinda -Daughter of King Kedar ?